Since the Roundtable on Digital Strategies first discussed big data in 2012, the data explosion has only accelerated. At the same time that enterprises are looking to use data in new and different ways to create value and unlock their full potential, the threat of start-ups exploiting the very same data to disrupt established companies is increasing. Artificial intelligence has become the top new technology investment to help evolve beyond data collection and make better and faster data-driven decisions — with profound implications for corporations’ strategies, operations, and culture. The Americas chapter of the Roundtable gathered in June 2018 at Airlines Reporting Corporation in Alexandria, Virginia to discuss the business and organizational impacts and consequences of the evolution from 2012’s ‘big data’ to the growing emphasis on data science supported by artificial intelligence and machine learning. Participants included CIOs and chief data scientists from host Airlines Reporting Corporation (ARC), Chevron, Eastman Chemical, Evolent Health, Sysco, Tenaris, and Tetra Pak, as well as the Directors of the Center for Digital Strategies of the Tuck School of Business at Dartmouth College and its Executive Fellows. 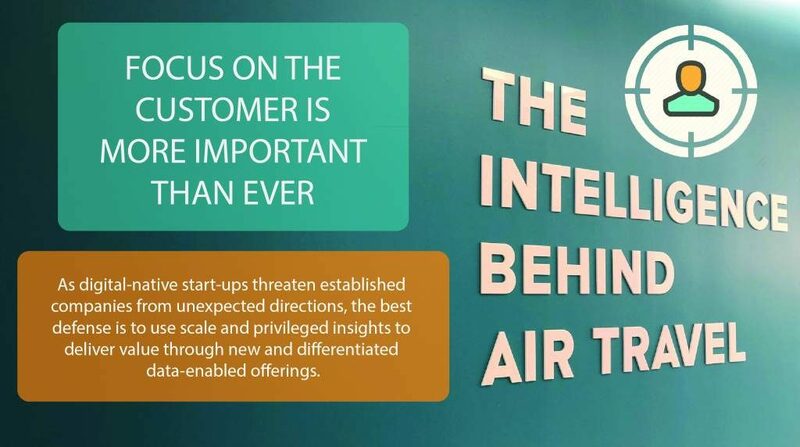 Focus on the customer is more important than ever. As digital-native start-ups threaten established companies from unexpected directions, the best defense is to use scale and privileged insights to deliver value through new and differentiated data-enabled offerings. Technology is first and always in support of the business. Companies need to avoid being swept up in the hype around AI and machine learning, and instead focus on how these tools can enable scalable and repeatable processes in support of faster and better decision-making. Data governance is critical as both carrot and stick. As customers and regulators become more sophisticated and more strict, enterprises need to be even more rigorous about privacy and trust. At the same time, data governance with transparency and accountability opens up whole new domains of potential opportunity. The pace of technological change is creating existential problems. After nearly 50 years of Moore’s Law, both people and companies may have reached limits for how quickly they can absorb technology. Not all will make the transition to a world where AI is commonplace.